Our paper chain craze started a couple of weeks ago and we have ended up making so many different versions that I thought it was time to put it all down in a post. Our first paper chain activity was aimed at the little man of the house. He keeps getting “he” and “she” mixed up. And I know this will come with time but big sister is getting a bit upset with him always calling her a “he” so we made him a “boy word” paper chain. 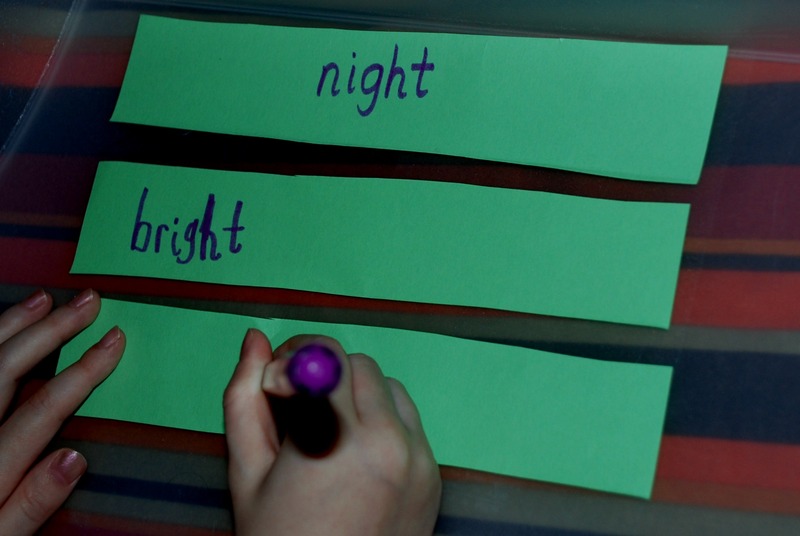 It is now on their bedroom door and when he uses the words incorrectly he often points to it and corrects himself – with the help of big sister of course. My little girl thought this was great and wanted to make her own ones. 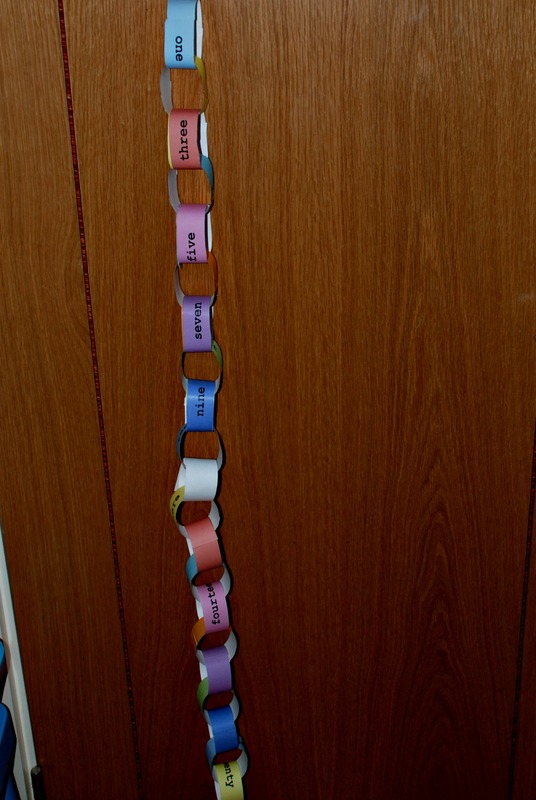 So we made some rhyming word paper chains (any excuse to get her to write and spell words herself). She also did one with the new words that she is learning (but some juice got spilt on it before I managed to get a photo). And we also did one for her number bond revision. 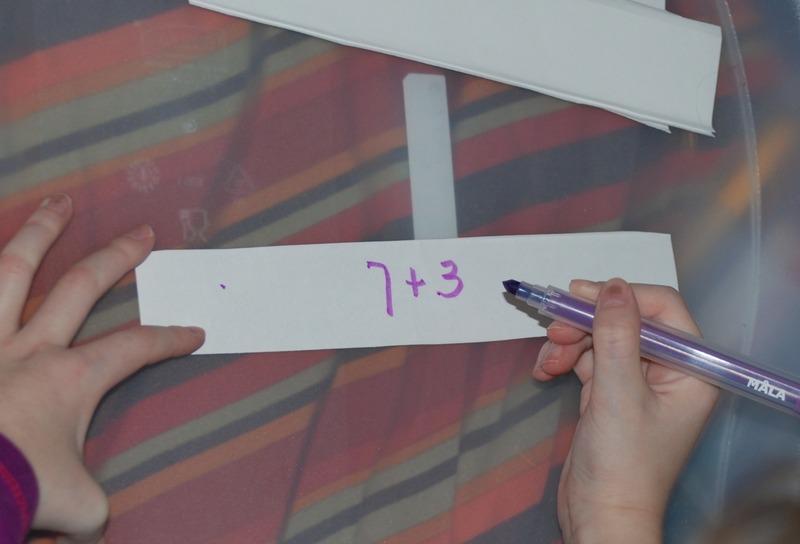 She thought this was a fun way to do her maths. 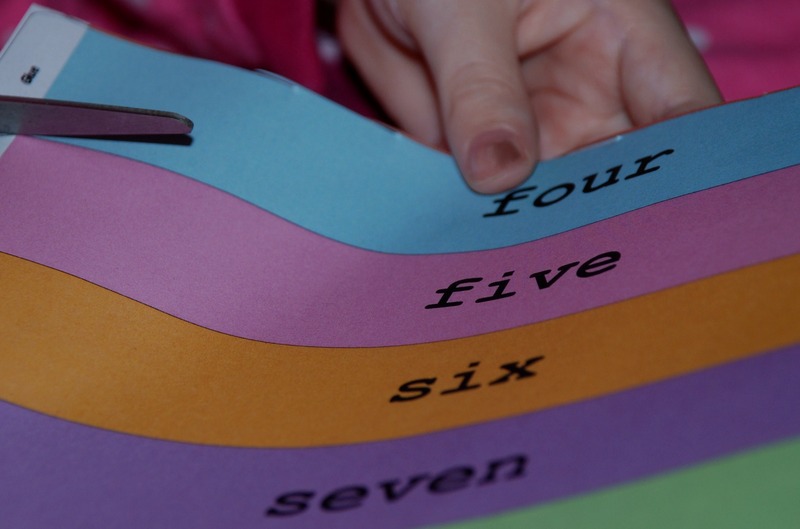 I also made one with some of the basic words that little man has been learning to read. 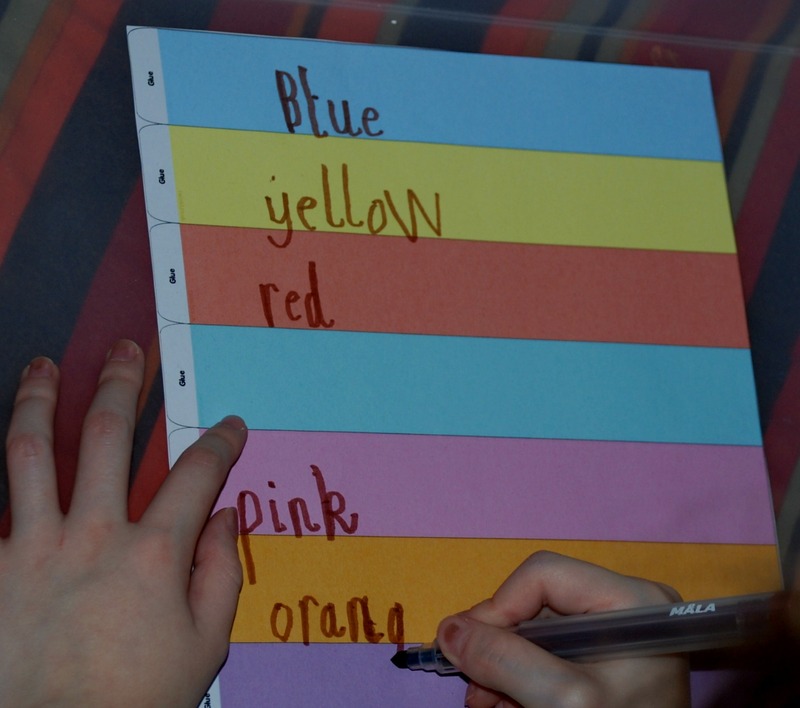 Our original version of this did not last so when Twinkl made an editable paper chain (platinum) available, I typed the words out for him and hey presto a new basic word paper chain. And he actually goes to the door where it is hanging and points and reads the words. I am going to try and keep this going for him, as he learns a new words so I am going to add it to the chain. 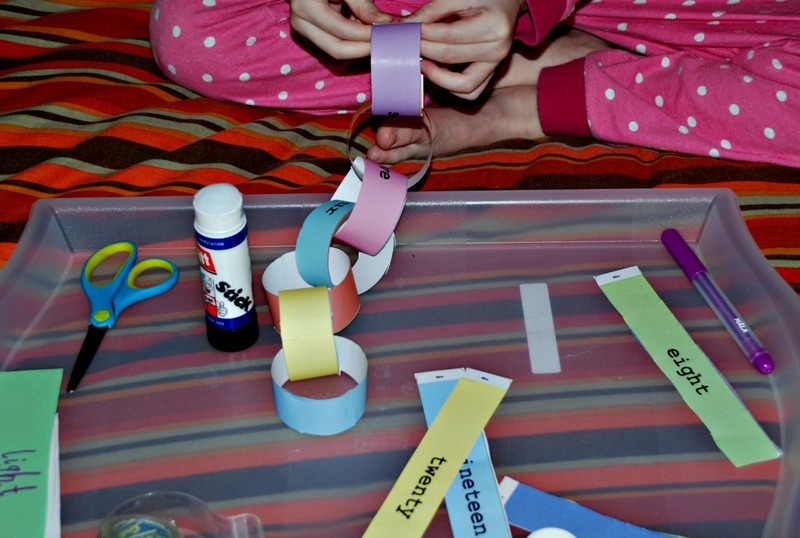 And as things work in our house – once big sister saw the new colourful paper chain she also wanted one. So this time I typed all the number words on the editable paper chain and she had to make it herself. and the end result (words from one to twenty). The kids where enjoying the new craze (and I believe milking any new craze for everything you can) so I also printed out some editable paper chains with no words and let the kids decide what topic they wanted to do with them. Little man asked for one with colours. So big sister got some more writing and spelling practice writing out all the words for him. 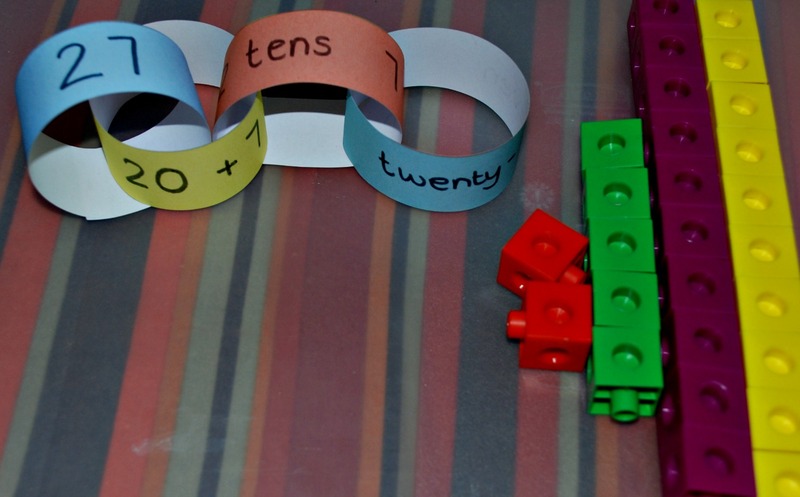 You could use these editable paper chains for any language. And she thought it would be a good ideas to use it for some more Maths. We have started looking at place value, discussing how many tens and ones are in a number so we wrote out some together (she dictated and I wrote) and then she put them together for the different numbers (and we used our snap cubes -affiliate link- to help). 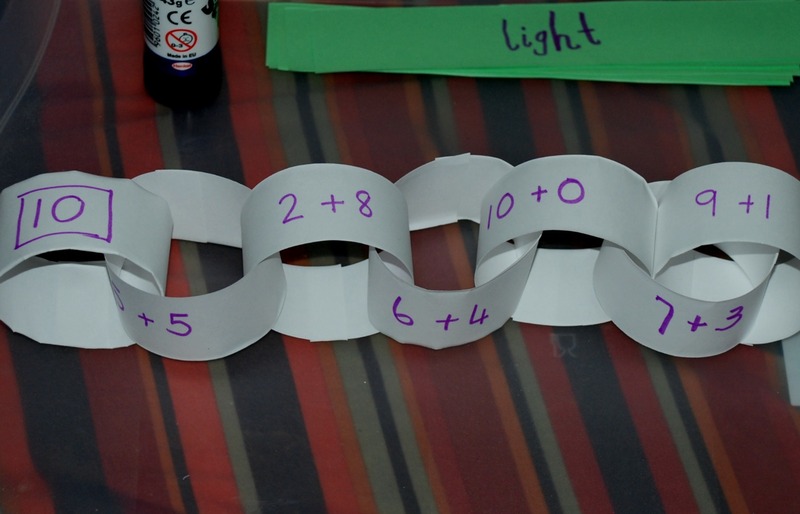 The kids have really enjoyed these paper chains so I have now actually printed off a few pages of the blank colour ones and left them in their art trolley. I have no doubt that they will find some more creative ways to use these. 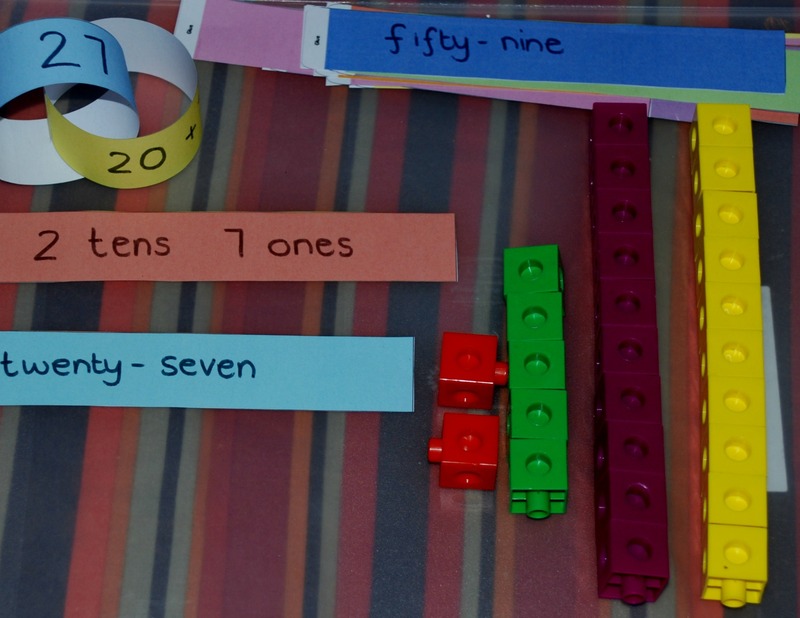 This entry was posted in Afrikaans, Homeschooling, ks1 English, ks1 maths and tagged Afrikaans, home ed, homeschooling, number bonds, paper chains, rhyming words, sight words, Twinkl. Bookmark the permalink. this is GREAT! I love how your paper chain started off for one reason and morphed into so many different things, fantastic! Thanks for sharing at our FB Share Day. I will be re-sharing and pinning!